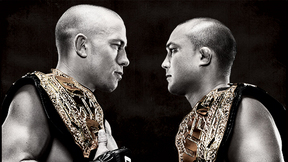 One of the all-time great Octagon events! 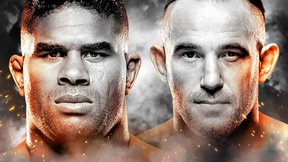 UFC 46: Supernatural witnessed UFC welterweight champ Matt Hughes clash with BJ Penn, UFC light-heavyweight champ Randy Couture against Vitor Belfort, and the debuts of Lee Murray and Georges “Rush” St-Pierre. Vitor Belfort vs Randy Couture UFC 46 Sat, Jan 31, 2004 (8:30) Coming off of an impressive first round knockout over Marvin Eastman, Vitor Belfort had his eyes on the belt as he took on UFC Light Heavyweight Champ Randy 'The Natural' Couture. BJ Penn vs. Matt Hughes UFC 46 Sat, Jan 31, 2004 (15:00) By moving up a weight class to challenge a man considered to be one of the top pound for pound fighters in the world, BJ Penn was seen by most to be committing athletic suicide against Matt Hughes, who was making his sixth title defense. 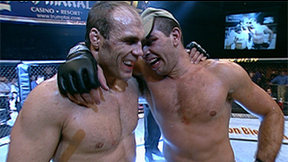 Someone forgot to tell Penn though, and the result was one of the most memorable moments in MMA history. 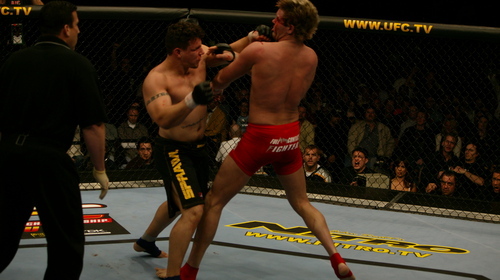 Frank Mir vs. Wes Sims UFC 46 Sat, Jan 31, 2004 (20:52) A heavyweight rematch stemming from their infamous first encounter at UFC 43, the enormous 6’8” Team Hammer House product Wes Sims promised to keep things legal this time against the 7-1 ground specialist Frank Mir. Renato Verissimo vs. Carlos Newton UFC 46 Sat, Jan 31, 2004 (27:30) Brazilian jiu-jitsu fans rejoiced as highly-acclaimed blackbelt and undefeated in MMA Renato “Charuto” Verissimo entered the Octagon for the first time against the former UFC welterweight champ and submission magician Carlos “The Ronin” Newton. Lee Murray vs. Jorge Rivera UFC 46 Sat, Jan 31, 2004 (10:29) In his one and only Octagon appearance, the enigmatic English-Moroccan MMA fighter “Lightning” Lee Murray, who has enough life stories to fill a library, put his 7-1-1, 1 NC record on the line against 7-1 knockout artist Jorge “El Conquistador” Rivera. Georges St-Pierre vs. Karo Parisyan UFC 46 Sat, Jan 31, 2004 (23:38) Making his Octagon debut, Georges “Rush” St-Pierre, who was 5-0 in MMA with a Kyuokushin karate blackbelt plus a fairly raw ground game, was put to the test against 10-2 in MMA, Pan American silver medalist in judo - Karo “The Heat” Parisyan. 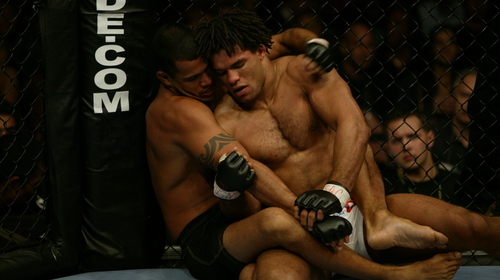 Josh Thomson vs. Hermes Franca UFC 46 Sat, Jan 31, 2004 (27:19) A lightweight battle between unbeatens as American Kickboxing Academy’s Josh Thomson aimed to prove that his speedy striking & wrestling could outmatch Brazilian jiu-jitsu expert Hermes Franca’s submission artistry. Matt Serra vs. Jeff Curran UFC 46 Wed, Mar 16, 2011 (25:28) At UFC® 46 in January of 2004, lightweight dervish Matt Serra evened his UFC® slate at 3-3 with a shutout three round decision over late replacement Jeff Curran. 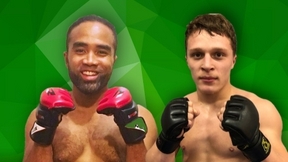 Fighting gamely throughout the bout, Curran used his jiu-jitsu skills to foil Serra's submission attempts, but in the end, the New Yorker's experience and strength proved too much for Curran to contend with.